The Sacred Science Circle gathers a sacred circle of individuals and groups that honor the “fires” of transformation implicit in all scientific, scholarly, and artistic endeavors. The elaboration of the e-Archive is our primary service activity for 2017. The fiery image on our Home page invites you to cross the fires of transformation that “bridge” us with the Sacred and lead us toward service in the world. Together, we hope to support a 21st century paradigm shift from a detached, positivistic science to a new scientific paradigm that values engagement with the Sacred and the historical and indigenous Wisdoms Traditions worldwide. To engage a topic with heart, mind, and soul invites change—transformation of our intellectual understanding, professional practice, and ourselves as human beings. We are never alone. 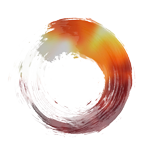 The logo for the Sacred Science Circle is an open Zen circle, representing a “beginner’s mind” open to possibilities and the perfection of all things. The logo also represents the sacred circles of like-minded colleagues that we hope to create. Anyone visiting this website is invited to use the scholarly resources and links provided. Those who share our vision, please use the Contact page to register for email updates, our newsletter, or to contact one of the Co-Directors. Our mission is to further that profound route to knowing, wisdom and enrichment of being that the confluence of science and the Sacred can bring to us and to our modern world. In pursuing sacred science, the Sacred Science Circle and our partner institution, the Alef Trust, aspire to transform both ourselves and the world. Welcome!